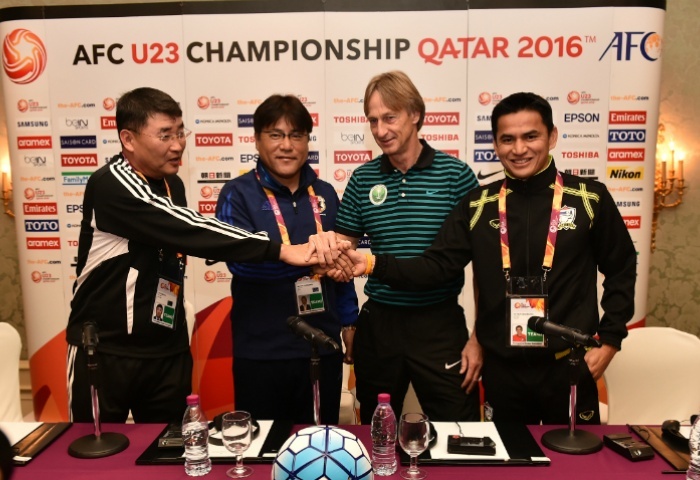 Doha: Coach Yun Jong-su is expecting a difficult challenge to emerge from Group B of the AFC U23 Championship as DPR Korea seek to secure a place at the Olympic Games in Rio de Janeiro, starting with Wednesday’s opening meeting with Japan at Grand Hamad Stadium. 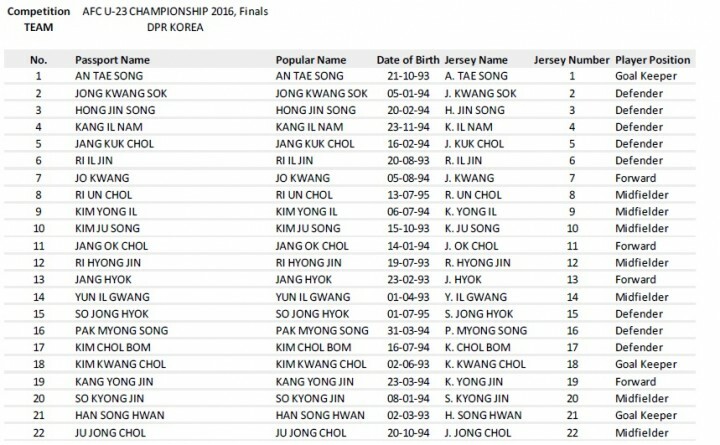 DPR Korea are seeking to end a 40-year absence at the Olympic Games and will be seen as a contender for one of the three places in Brazil given their strong recent record at youth level, including the 2010 AFC U-19 Championship and 2014 AFC U-16 Championship. 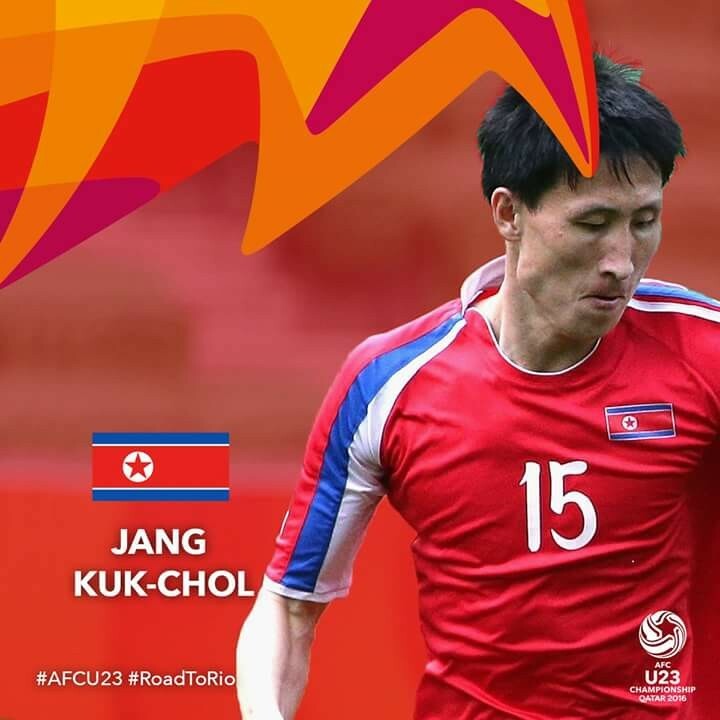 And Yun’s side will be looking to avoid the same fate they suffered at the AFC U-22 Championship at the start of 2014 as DPR Korea failed to progress beyond the group stage. “The teams included in Group B are some of the strongest teams in Asia, so for this tournament we have done a lot of preparation,” said 54-year-old Yun. “As you will see in tomorrow’s matches, you can’t say who is weak and who is strong, we will just see in the next game. All the teams in the group are hoping to qualify for the Olympic tournament in Brazil. Japan are aiming to maintain a run of successful qualifications for the Olympic Games that stretches back 20 years to Atlanta in 1996, and four years ago the nation reached the bronze medal play-off in London, where they lost out to Korea Republic. “Nobody can tell the exact percentage which team will qualify, but for Japan we are mentally confident we’ll qualify for the Olympic Games,” said coach Makoto Teguramori. “This competition is a qualifier for the Rio Olympic Games and all the teams are under 23 years old. This generation is the future generation of Japan and we will try to do our best to qualify. Saudi Arabia, meanwhile, kick-off their campaign against Thailand as the Gulf nation aims to book their place at the Olympic Games for the first time since 1996. “I think everyone has the goal to go to Rio,” said Saudi Arabia coach Adrie Koster, who also serves as assistant to national team coach and fellow Dutchman Bert van Marwijk. “That must be the aim. How we will develop will depend on the first group stage, but I’m very confident for the first game. “When you have a good result in the first game it will give the team a boost, but you will never know how the team will do on its way. Thailand coach Kiatisuk Senamuang will be attempting to take his nation to the Olympic Games for the first time since 1968, even though the former international striker knows his team will go into the tournament as one of the outsiders. “Thailand might be the underdog in this group, but for this generation our team consists of six or seven national team players, so I can guarantee you we will play with confidence,” he said. Posted in Senza categoria on gennaio 12, 2016 by calciocorea. Pyongyang, January 9 (KCNA) — It has been 60 years since the Kigwancha Sports Team came into being in the Democratic People’s Republic of Korea. The team was formed on January 11, Juche 45 (1956) to represent the railway workers. The team won the Order of Kim Il Sung and the Order of National Flag First Class while producing a large number of people’s and merited athletes and sports aces. Over the past six decades it has obtained many medals, including more than 5 600 golds, and 170-odd trophies in international and national games. The team produced aces in football, table tennis, volleyball and other events, among them an Olympic gold medalist, a world weightlifting champion and a maker of “Ri Chol Hon Movement” recognized by the International Gymnastics Federation. In 2013 alone it snatched more than 150 gold medals in DPRK Championships and other national games, setting new five national records in weightlifting and track-and-field events. Posted in Senza categoria on gennaio 11, 2016 by calciocorea. Posted in Senza categoria on gennaio 10, 2016 by calciocorea.